Drumroll Please?The announcement we promised is finally here! ? We are proud to announce the opening of a SECOND location in Parker Ford, PA (formerly Verde Salon and Spa). In addition to hair and spa services, The Retreat by Salon Twenty-Two will host community events and workshops. Our goal is to elevate beauty services in a way that is wellness-focused and environmentally conscious. We know it is the loyalty and support from customers like YOU that make this new adventure possible. Thank you! ? Please check our social media often for updates on the opening and new events. 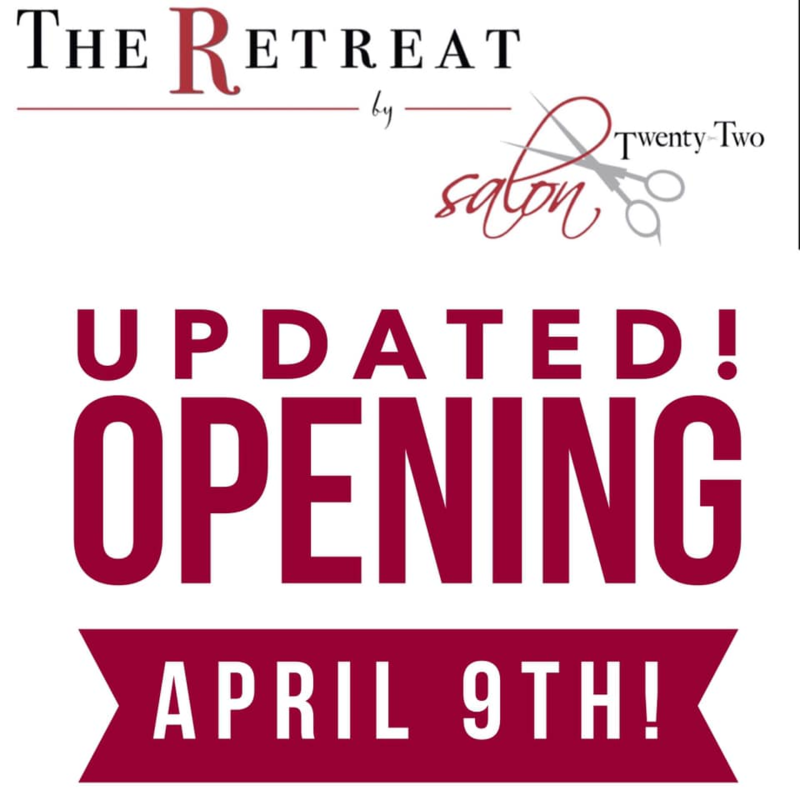 We are beyond thankful for the outpouring of support and enthusiasm for the opening of The Retreat by Salon Twenty-Two! ? For this reason, we want the new location to be just right when we open the doors to you for the first time. After thoughtful consideration, we have decided to push back the opening to April 9th, to ensure we meet everyone’s expectations. Thank you for your patience!